Offer a number of standard or customisable home designs, so that you can choose the block of land you want and the features you’d like in your new home. 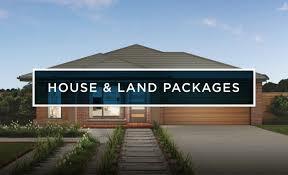 A potential benefit of buying your new home this way is that you can ensure you get a property that suits your needs. Buying a new home can also help you plan your finances with confidence, with low maintenance costs and no major repair expenses in the foreseeable future. Another benefit is that environmentally friendly materials and features are often part of the package, as sustainability has become a benchmark in the industry.